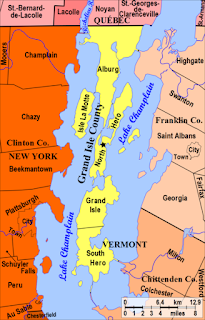 Nov 12 – These islands in Lake Champlain, North Hero and South Hero (also called Grand Isle), were named after Ethan Allen. He and his Green Mountain Boys militia were instrumental in defending Vermont settlers from the sovereignty claims of New York during the colonial and Revolutionary War period. 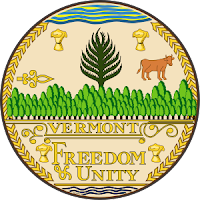 Because of their efforts, the people of Vermont were able to declare and maintain their independence from the British Crown and the new United States and eventually enter into the Union as a separate state. North Hero Island could be two islands, if not for the narrowest strip of land here. From the road, you can see vast stretches of Lake Champlain on either side. North Hero is a township of about 800 people. 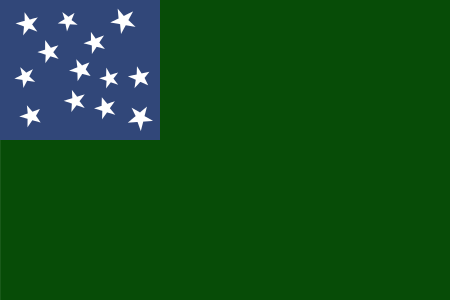 The land around Lake Champlain is an unusual floodplain forest, and most buildings are made of wood. 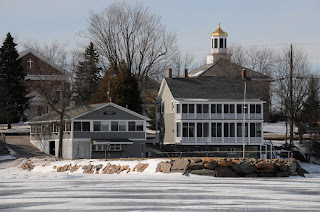 The architecture reflects New England style much more than that of nearby Québec. 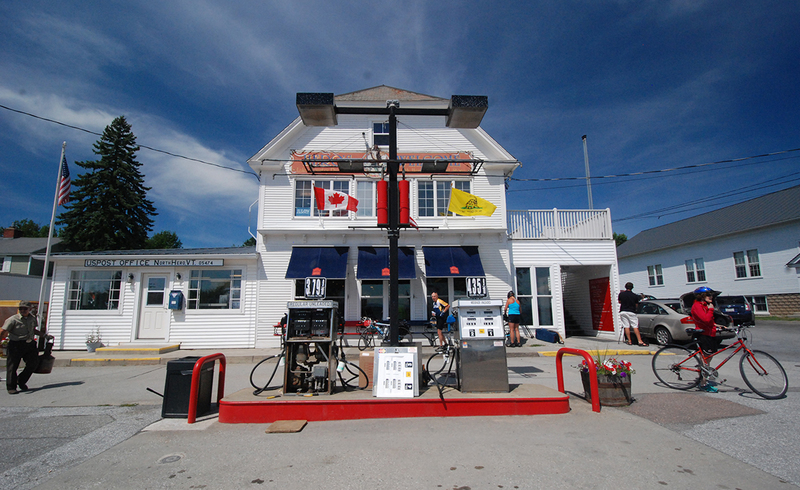 For a century, the people here have made their living from tourism. The Post Office/general store/gas station/bike-&-boat rental shop displays a variety of flags, from Nouvelle France and Parti Québécois to the Vermont Republic and American Revolutionary War varieties. Boaters from Lake Champlain can tie up in “City Bay” and stock up on supplies. 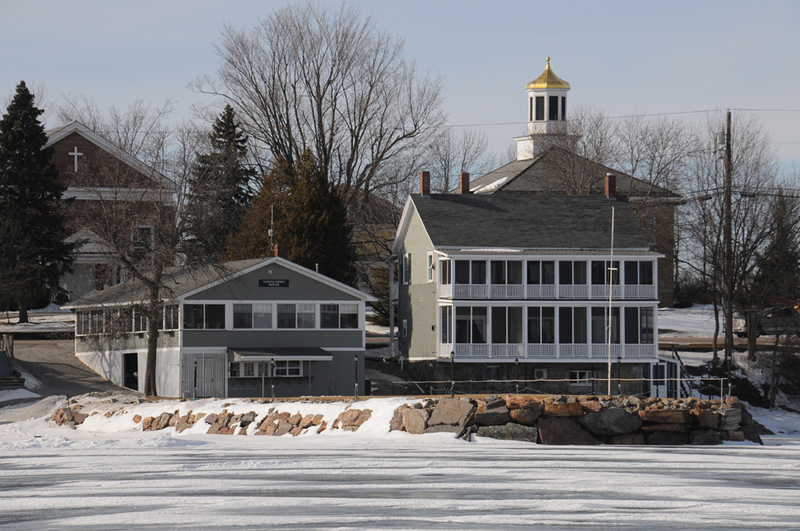 The older buildings in town are built up away from the shoreline road, but many of the cottages are built as close to the shore as possible. Since the lake level can fluctuate seasonally about 6 feet, this one seems precariously placed. The view on a sunny day, of course, is idyllic.